This sturdy hardback favourite has been revamped and is now available in a multitude of colours. 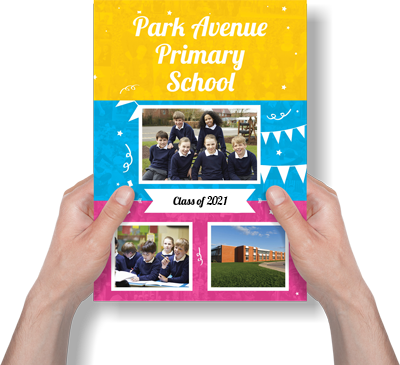 A fantastic memento to remember your last days of school with the opportunity to personalise the funky front cover with a picture and school name, and leave a sentimental message on the back. The pages have no frills and are ready to hold lasting memories.